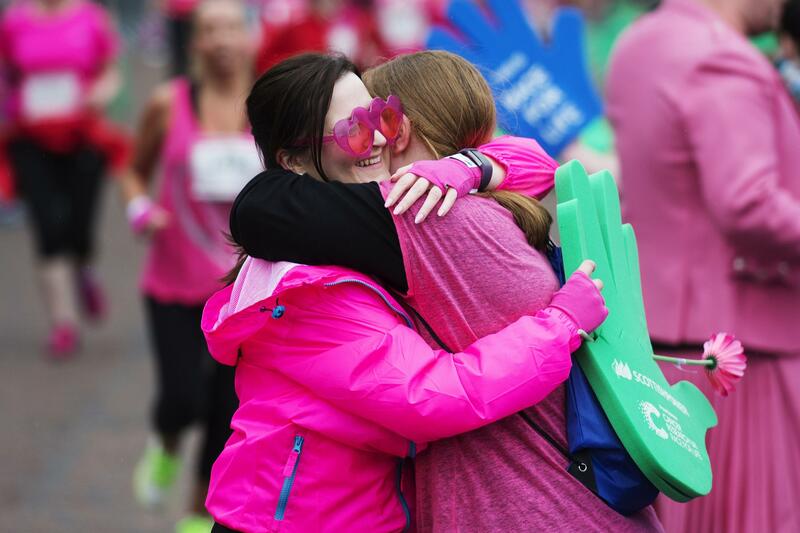 Cancer Research UK’s Race for Life, in partnership with Tesco, is a series of fun and inspiring women-only events raising money for research into around 200 types of cancer affecting men, women and children. Race for Life started as one event in 1994 at Battersea Park with 680 participants. Today, it is the UK’s largest women-only fundraising event series with over 350 events around the UK from May to October. Every year, women and girls of all ages, abilities, shapes and sizes from all over the UK join together to take part in Race for Life, either on their own or as part of a group. There are lots of different events to choose from including 5k, 10k, Pretty Muddy, Half Marathon, Marathon and Hiking challenges. Race for Life events are non-competitive - taking part is not about being fit or fast and participants can choose to walk, jog or run around the course. Money raised through Race for Life allows Cancer Research UK’s doctors, nurses and scientists to advance research which is helping to save the lives of men, women and children across the South West. Participants can make sure they look the part on event day with the official Race for Life merchandise range - from slogan t-shirts and sweaters to wristbands and accessories. Volunteers play a vital part in the success of all Race for Life events across the UK - there are lots of roles to choose from, which are open to men as well as women. In 2017, Cancer Research UK hopes to recruit 475,000 women and raise £48m to help fund life-saving research. Signing up to take part couldn’t be easier - simply visit raceforlife.org or call 0300 123 0770.